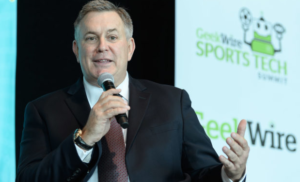 The brothers Leiweke, Tod and Tim, took turns at the Geekwire Sports Tech Summit to talk technology as well as Seattle sports history and future. Finally, the opportunity arose Thursday for the chance to ask Tod Leiweke, mastermind behind the renaissance of the Seahawks and the birth of the Sounders before leaving in 2010 for the NHL and now the NFL front office, two questions critical to the future of Seattle sports. Will he be part of a group that brings the NHL to Seattle? Does he still claim to be the good Leiweke brother? He quickly answered the second one. The first, he dodged completely. Tod Leiweke, the NFL’s chief operating officer and the No. 2 executive in the NFL behind his lordship, Roger Goodell, was referring to his brother, Tim, who was also a speaker at the second annual Geekwire Sports Tech Summit. Tod wasn’t being mean to Tim, just being a brother. For those who know the difference, you must be a brother. Tim Leiweke is CEO of Oak View Group, the Los Angeles arena developer that won the right to negotiate with the city of Seattle to re-do KeyArena into a world-class venue for a bid of $564 million. He did indeed speak to the gathering at CenturyLink Field’s conference center, mostly on technology’s impact on sports, but the most interesting stuff was about his proposed Seattle arena. Tod wouldn’t speak for Tim’s plans, but older brother Tim has never been shy about speaking for himself. 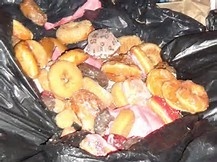 In fact, the more bodacious Leiweke even made fun of his habit of hyperbole. “I’m the only guy I know who’s not in a league who’s getting fined by commissioners — makes no sense,” he said, drawing laughter. But he did address perhaps for the first time publicly the question of whether two privately financed arenas were possible for the fastest-growing city in the country. The question is on the minds of Sonics fans whose champion, Chris Hansen, has worked for six years to create an arena in Sodo upon $125 million worth of properties he bought for one primary purpose: Bringing back the NBA. That is not the priority of Leiweke’s well-heeled group, which appears to have the ear of Mayor Ed Murray and the City Council eager for a robust Seattle Center. Answering a question from moderator Todd Bishop, Leiweke never said never to such a possibility — same as Hansen — but did elaborate Thursday on how he believed a double-arena plan was improbable. “If you’re going to privatize both arenas, and one’s going to go after a hockey team and one’s going to go after a basketball team, so be it,” said Leiweke, hypothesizing. “What I do know is (NBA commissioner Adam) Silver has said expansion is not being debated, discussed or contemplated. If I were them, I wouldn’t either. They have the world’s best TV contract now. It’s not even a conversation” to add teams and dilute long-term revenues. Leiweke explained the two impediments to the NBA becoming the first winter sport in Seattle: Lingering NBA bitterness and NHL eagerness. Seattle hoops fans “had their hearts got ripped out when the Sonics left,” he said. “It was not done in a great way. They were misled; some people came in who had a personal agenda that cost the community their basketball team. I think that many people are bitter about that. They don’t think they think it was handled well by the league, by (then-commissioner) David Stern, by the political leaders. We have to inherit that distrust. “Adding to that, for seven years they’ve been told (by Hansen), ‘I’m gonna get you an NBA team.’ And we come along and say, ‘I’m sorry for being honest, but there is no NBA team coming right now.’ Adam Silver’s done a tremendous job as commissioner; there’s no danger of a team moving. Leiweke reiterated that his group has attracted two potential owners of an NHL team in Seattle: Hollywood film producer Jerry Bruckheimer and investment banker David Bonderman, a University of Washington grad. What agreements they may have signed to bind them remain unclear, since the NHL has made no commitment to another expansion. “Is there a better marketplace west of the Mississippi than Seattle for a winter sports franchise?” Leiweke said. “The (NHL needs) needs an arena, and needs an owner. We believe we have a vision for both. If someone else wants to come along after we do that, and build another arena with a basketball team in there, great. I’m fine with that. I don’t think it works. Especially when (concert promoter) Live Nation is our equity partner, and they put 40 to 50 nights of music in a building they own. The rationale explains why Leiweke has so far not sought a non-compete clause from the city to forestall the possibility of the council granting a street vacation for Hansen. Seattle Partners, the arena developer who pulled out of the city’s bid process, wanted a non-compete to deny Hansen. Leiweke made no such request, essentially saying to Hansen: I dare you. Leiweke is also expected to offer another asset: His brother. Those who know Tod Leiweke understand his true sports passion is hockey, which is partly why he left the Seahawks in 2010. He was lured into part-ownership of the NHL’s Tampa Bay Lightning. 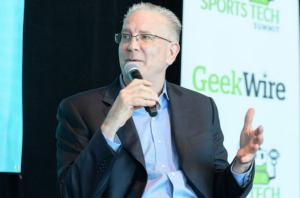 In 28 years in pro sports, Tod Leiweke has executive experience with the NFL, NBA, NHL, MLS, the PGA Tour and chaired a United Way campaign for a year in Seattle. In his tenure here that began in 2003, he made many decisions for owner Paul Allen’s enterprises — Seahawks, Trail Blazers, Sounders, First & Goal and Vulcan. His most dramatically impactful decision was firing Seahawks coach and local favorite Jim Mora after one season in order to hire Pete Carroll and John Schneider. Perhaps his most clever decision was to invite Goodell in 2009 to climb Mt. 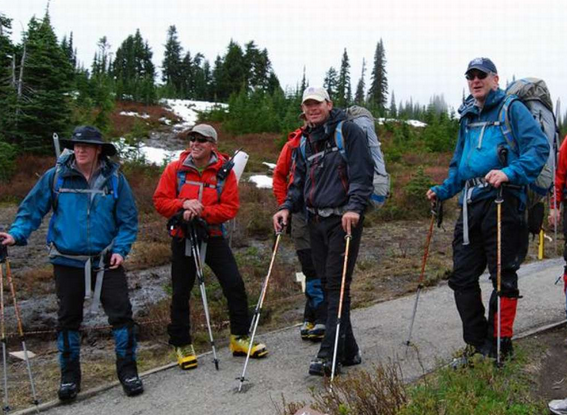 Rainier with him to raise funds for charity. The stunt drew national attention and allowed Leiweke and Goodell to become acquainted in ways that only dangerous adventure can bond people. Goodell was sufficiently impressed with the experience to think Leiweke would be his No. 2 — the position from which Goodell was elevated to succeed Paul Tagliabue as commissioner. Leiweke left Tampa for New York in 2015. “For him, it was one of the coolest things he’s ever done,” Leiweke said, disclosing that Goodell has in his office the hiking boots and photos from his ascent. He recalled that Goodell had a crossroads moment in the 3 a.m. darkness upon a glacier when he sent the light from his helmet lamp into a crevasse that had to be leaped over to continue. “He made the mistake of looking down,” Leiweke said. “He wasn’t sure he wanted to go on. All of this mountaineering history with the NFL’s capo di capo is offered to suggest that Leiweke may have another idea for his future — NFL commissioner, arguably the most important job in sports. But being commissioner is a generally thankless task that certainly pays well — Goodell is pulling down more than $40 million annually — but is complicated by the fact he works for 32 bosses who think they know more than he does, and millions of consumers who are certain they know more than he does. But being president and part-owner of an NHL team is something he already has done well, and has an added potential virtue of getting to hold a Stanley Cup at center ice for him and Seattle, a favorite city among his many stops. It is a thing far more alluring to him than cash. But that image is far down the road. Neither brother has spoken publicly of a role for Tod, although those who know both seem confident of such a deal.of hockey. Tim acknowledged it was Tod who suggested he look at remodeling KeyArena. But Thursday Tod, who two years ago sold a home he owned on Mercer Island (once owned by former Seahawks coach Mike Holmgren), was itchy to move on from such talk. Smiling, Tod pushed through the media gaggle, signaling its end. A few hours later, Tim left the stage and headed to the elevator without answering reporters’ questions. Keep an eye on these guys. They’ve climbed some mountains, here and far, metaphorical as well as physical. They are the sports-business world’s most interesting bros, although I’d pick up the dinner tab to be at the table with them and Michael and Martellus Bennett. Thanks again for the excellent reporting, Art. Now if I can be forgiven for hijacking the metaphor you’ve woven through your column, I am interested to see how these mountaineers plan to scale the peak known as Seattle traffic. As a fan rooting primarily for an NHL franchise to come to Seattle, I have peered into the abyss to consider how much I would be prepared to leap across the crevice that divides Seattle Center from the major transit routes my transit sherpas could provide for me. I’ve figured I would be prepare to invest in a 10-game season ticket plan, or its equivalent, to support the fledgling hockey franchise if the arena is located in SoDo and accessible by transit. Peering into that abyss known formerly as Mercer Ave., or using that fraying climbing rope known as the Monorail to connect, I might make one game a year. Mostly to satisfy my curiosity as to what the new arena experience would be like. I’m not sure any amount of persuading from the Leiweke climbing guides is likely to persuade me to make the leap. And it is said the NHL is much more dependent for the revenue of the generated by the ticket buying public than the NBA is. I hope these climbers don’t suddenly wake up 10 years down the road and find they’ve become spelunkers along the way. Well, thanks for beating the crap out of that metaphor. My guess is that the transpo resolution will be a work in progress AFTER the MOU is signed because absolutely no one knows the impacts on drivers after the new 99 tunnel opens in 2019. Toll costs and no downtown exits are going to change urban life significantly, and the arena likely wouldn’t open until 2022. Fixed, frozen, unchangable. Work in progress isn’t good enough at this point. The City Council has enough information to arrive at a conclusion today, not some distant and mysterious better transportation future that does not exist Uptown. Five(5) decades of observations are enough. Since the Seattle politicians are serious about using the Key Arena/Seattle Center site, I hope they are just as keen to be forward-looking on issues regarding commuting overall, and the future of the internal combustion engine automobile in particular. Tim Leiweke brought it up anecdotally, saying he walked the “Amazon campus” and saw how few cars there were. But that’s because he was in a pedestrian area. But the larger point about car usage is well understood by the council. It is hectored daily by residents. Frankly, until voters unite to tax themselves heavily to get light rail, etc,, in many more places, you and the rest of Seattle are screwed because our topography and freeways are helpless against a single accident by one distracted driver. Another issue I have with these anecdotal stories of the decision makers walking around Seattle Center considering the parking/transit issues is Seattle is a much different place to get around in on a warm Spring day, imagining a playoff run, as opposed to a Tuesday night in mid January with horizontal rain with the Florida Panthers in town. The former may have more to do with franchise survival than the latter in the early years, as in Will fans bother to go. I think novelty will keep the NHL in the black for the first two years, especially with our Canadian friends coming down to dominate Seattle sports. By then, everyone will have adapted to to pay-per-virtual reality and teams won’t need more than 10,000 fans/game to break even. Another great article by the godfather of Seattle sportswriters. Thanks for this perspective. I didn’t know the inteteresting back story of the sports bros Leweike. And what you describe about the NHL vs NBA real-politiks make it much easier to understand the Key Arena remodel logic. I still think that putting a pro team with 41 home games an endless playoff schedule and 40-50 concerts per year at the base of Queen Anne would create a nightmare scenario traffic, parking and neighborhood-wise, but from an economic standpoint it’s understandable why Oak View is pursuing that option. Still believe the SODO location is much preferable for a new stadium from the city and regional pov. On a separate note, I was in the audience for Ted’s chat with John Clayton about the NFL and had to cough into my hand when he made a data-free assertion that the NFL is seeing huge engagement from millennials. Said something like “it’s 24/7 all platforms” or whatever. The reality is the none of the millennials I know will sit down to watch a 3.5 hour bloat-cast of a 60 minute game that breaks up the action far more than their tender attention spans can possibly handle. That’s going to be a problem for all pro sports, but particularly for the NFL where you can distill *all* of the live action down to 12 minutes or watch 5 minutes of highlights and see every key play. Point well-taken about short attention spans. Mobile technology has put an even greater premium on instant gratification, which is why the NBA is more suited for growth than NFL, MLB, NHL and MLS. I agree that Tod was talking out the wrong end on that observation. Thanks, Scott, for your kind words. It’s amazing to me how Tim Leiweke’s group has flashy names, money, charisma with politicians and now the possibility of bringing Tod Leiweke back to Seattle (who did GREAT for the Seahawks)…………..but I still can’t trust him or that site. And I think that feeling is independent of however I feel about the SODO site too. 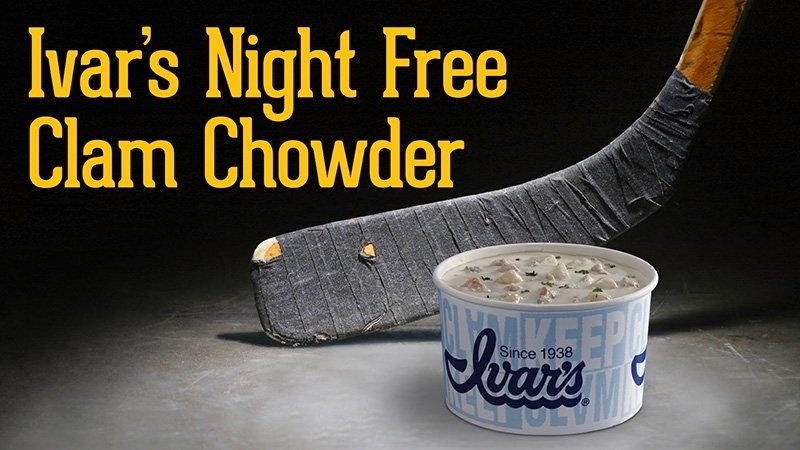 If anything, it just feels like the City, NHL and OVG are all trying to get into a shotgun marriage with each other as opposed to trying to do something that’ll make the NHL and NBA successful for perpetuity. If anything, Tim Leiweke doesn’t sound like he has a genuine appetite to bring back the Sonics and from there you’re talking about putting an NHL expansion team that’ll likely be BAD for 3-5 years (if not more) at a site that’ll be really bad from a regional perspective until the Puget Sound has a light rail system that looks more like BART. Forward Thrust was turned down by voters five decades ago. We are paying the price now. Puget Sound is an attractive place to work and have a business; yet, it is becoming less attractive with every passing day as congestion suffocates commerce. We are stuck with light rail, but should have the heavy rail BART system. I see this in the future, but oh man are we behind the times and in a fierce race to catch up with our needs. KeyArena for smaller events. Big Boys down in SoDo. Light rail, heavy rail, skinny rail, fat rail, whatever. To make Key work, you need SoundTransit to be a regional system where you can go to the nearest light rail station, swipe your card and hop on your train to the KeyArena site. And until we get to that point 2-3 decades from now, KeyArena just isn’t going to be a viable site for WINTER sports. Particularly expansion teams that are going to likely do nothing but lose for the first 3-5 years (if not longer). You keep forgetting the Monorail. economic station in North America. KeyArena could be outfitted far more cheaply than the $150M cited in the 2015 AECOM report, if it didn’t have world-class ambitions. But could it draw enough secondary business in the shadow of a Sodo arena to cover the construction debt? I don’t know, but that’s a legit question. A scaled-down Key Arena reno minus the world-class ambitions would find it competing with the likes of whatever the arena in Everett is called, and, maybe even Sho-Ware Center for smaller events if those in position to decide such things come to their senses and green light the SoDo proposal. Plus, it still remains to be seen what will happen with the Tacoma Dome in the next half-decade as well. I’m not sure duking it out with Everett for the best available dates to host PBR or countless other 2nd and 3rd-tier events is what OVG signed-up for. Dueling arenas in the same city? Not going to happen. And, define “smaller events”. OVG isn’t in the business of renovating major indoor arenas for the purpose of hosting “smaller events” while the “big boys” hog all the big time ones. Other than Barclays Center and MSG in New York City, you don’t see multiple arenas anywhere else in the NBA or NHL. And, you can’t count Sunrise, FL or Glendale, AZ, as their NHL teams don’t play in the same cities as the local NBA team. Having 2 arenas in the same city is akin to owning a restaurant and opening a 2nd location nearby. No sane person or ownership group would do that in 2017. The only reason it works in New York is, as the #1 media market in North America and the largest populated city in both leagues, they have enough of a fan base to draw from to sustain major events (including 2 NBA and 2 NHL teams) at both of their major arenas. Seattle does not. And, that’s without even mentioning the availability of rail comparison. Part of the feeling I think is in the fact that most Sonics fans identify with Hansen and not Leiweke and his LA wealthies. And the NHL has no meaningful history here compared to the NBA. But he and his pals are willing to pay well north of $600M to help make Seattle Center flourish. And the NBA execs are highly skeptical of returning to a building that remains in a city park, the only such deal in North America. I’m thinking the consternation is more about the actual site and priorities of the group (NHL and concerts-FIRST/Sonics more of an afterthought) more than the fact they’re from out-of-town (even though a local majority owner WOULD be better for the community), to be honest. Like, I don’t think people have ever cared that Joe Roth and Drew Carey own pieces of the Sounders, for example. Plus, unlike his brother, Tim Leiweke reminds me way too much of a used car salesman when he talks. The NBA is not coming back, especially with Hansen after the shenanigans he pulled in Sacramento he will not allowed one. His sugar daddy was set up with a team in L.A. and there is no expansion or team movement in sight. They all have plaid pants and white shoes, Hansen included. The NHL would be a great west coast addition here, Is SODO a better sight? obviously yes but Hansen’s window seems to have closed for reasons our legacy starved mayor has spoken of. If the NBA truly doesn’t want Chris Hansen to own a team then I wish Adam Silver would just come out and tell the truth so we can feel more comfortable about moving on to a “NHL and concerts-first” plan at a crummy site. There are/have been far worse douchebag owners in the NBA than Chris Hansen. I’d hardly think he’s in danger of being blacklisted by his fellow multi-millionaires. I hope you prove me wrong but the NBA does not need to come back here, smaller markets with less sports dollar competition is what their business model is now. Our arena situation is a mess and the good ole boy club certainly has no need to hook up with Hansen. They orchestrated the move out, why would they come back? It’s not about what “needs” to happen. Does the NBA “need” 2 teams in New York City and 2 teams sharing a gym in Los Angeles? There’s far too much popular sentiment in the sports world that Seattle should have a team again, and, never should’ve been without one in the first place. So much so that I think the NBA missed a HUGE opportunity to pat itself on the back and quench the NBA-back-to-Seattle thirst when they awarded this year’s All-Star Weekend to New Orleans after taking it away from Charlotte. Had they done that, we likely wouldn’t have had so much focus on how dull the actual game was, but instead, the media talk nationally would’ve been how well-received the event had been by the city and players and why the hell did they lose the Sonics in the first place and what can be done about replacing them? I believe we have far more allies in this fight than you realize, with regards to the NBA returning to Seattle. But, Seattle’s got to do its part by finally settling the arena issue first and foremost, one way or the other. Nothing will happen before then. Far too many people here think it should be the other way ’round. I seriously doubt that the league (its commissioner and franchise owners) agrees. I’m not sure where you get your idea that the league is focusing more now on smaller markets with less competition for its brand. You really believe the NBA is afraid to compete for your money? The previous commissioner certainly left raking it in and filling the coffers as his ultimate legacy. That will not change. Other than that, it’s a completely different and new regime under Adam Silver. He couldn’t be more opposite from his predecessor in that he’s got no apparent axe-to-grind against Seattle, isn’t a douchebag or egomaniac, and he’s publicly receptive to the idea of an NBA franchise playing in a renovated Key Arena. Sure, Stern was able to convince 27 of 29 owners that the ‘Supes needed to be relocated to OKC. But, I’ve always felt that had far more to do with the dollar signs in their collective eyes from the relocation fees than a legitimate concern that this was no longer a viable market for its product. This isn’t Vancouver. We gave the NBA a good 41 years here, and we should be proud of the fact that lack of fan/community support isn’t why we don’t have a team right now. They know this. You don’t ever hear/read LeBron James asking why did Vancouver lose the Grizzlies or how could Sacramento have come so dangerously close to losing their Kings, do you? But, he’s sure questioned why the Sonics ever left Seattle. And, he’s not the only one among current and former players to do so. Even broadcasters and writers have chimed-in as well. Allowing/facilitating Seattle to lose the Sonics is a wrong that everyone outside of OKC (and possibly Sacramento) understands needs to be made right through expansion. If for no other reason from the other owners perspective than the revenue they’ll all receive a cut of from the requisite entry fees. 2 things we need to do: be patient as fans, and the city needs to settle the arena issue. I’m not so keen nor quick to believe either Leiweke with regards to anything they say about NBA expansion as it relates to Seattle. As with Gary Bettman and the NHL, what’s the 1 thing they’ve been waiting and watching for? More to the point: what’s the question both leagues have been asking since the Sonics left? You already know the answer to that. It’s never been a question of potential ownership so much as location. THAT has always been the most important issue to them. Where are they (either NBA or NHL) going to play? Even Bettman said a month or 2 ago that there’s really nothing even worth taking about with regards to expansion to Seattle until that question gets a definitive answer. And, he can’t believe that the question is still needing to be asked! Can you blame him? And, with the NBA still asking that same question, post-Sonics, why would Adam Silver have anything exciting to say about expansion either? 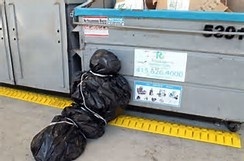 Would you if you were him? And, do you REALLY believe Tim Leiweke that the NBA is seriously considering retraction? Be honest. Of course you don’t. If, as Tod Leiweke says, things are so great financially for the NBA right now – which they are – why would they want FEWER teams? They’re already raking it in hand-over-fist with 30, you don’t think they’d eventually want to add 2 more and the entry fees alone that would bring in? No way will the NBA stand pat at 30 teams while the NFL and eventually NHL are both at 32. And, you can forget any nonsensical talk of the NBA actually being concerned about putting out a watered-down product caused by expansion. Their brand has been watered-down for at least a decade, yet, they still backed up the truck and broke the bank when it was time to negotiate for a new TV deal. Regardless which arena proposal gets the nod, once it does, watch how quickly the language changes with regards to either league – if not both – expanding. That doesn’t mean it’ll happen overnight. As a panelist at TSN said recently in regards to NHL expansion, “it’s a process”. But, do you really believe the NBA actually prefers relocation instead? Relocation gives the appearance of instability. Expansion does not. How the NHL fares during its first 5 years in Las Vegas will likely determine the timeline of NBA/NHL expansion into Seattle…assuming the arena issue is finally settled in favour of 1 proposal over the other. Until that happens, I wouldn’t expect either commissioner to have too many flattering things to say publicly about Seattle with regards to expansion. Nor should they. If what you say about “NBA execs” is true, I wonder how they felt about Silver’s positive public comments within the last year about the advances in arena renovation and, specifically how that relates to Key Arena. Occidental Street isn’t a safe place for me. Only Port Truck I ever saw was the one that dumped old, smelly Red Herrings on top of me. No shower or clean clothes in weeks. I didn’t realize Hansen had Hanson brothers who played hockey. Hanson Brothers stopped by and cheered me up a bit. Good guys. Plenty of foil. They want NHL in SoDo, too. Hanson brothers want to meet up with the Leiweke brothers on the ice and perform some old school lessons on them. Do you think the Leiweke’s have a chance against the Hansons? Anyway, the Red Herrings aren’t too bad with the moldy Top Pot donuts. Got one Port zombie so far. Port of Seattle catching on to me. Port has started a Public Relations campaign showing the thin veneer of being a “good neighbor” down in the City of Sea-Tac by providing a $1 Million Eco Grant to plant trees. And it begins. I’m going for a shower, shave and clean my clothes down at the Union Gospel Mission. Keeping my spirits up. Hansons sure have a lot of foil ! will resist and fight this every step of the way, but it is the most reasonable path given Uptown’s growth and Seattle Center’s role in our Region. Leave the NBA / NHL at SoDo. Sorry, Tim, that the way a reasonable person would see it.